Next week we are back in the Florida Keys to start our autumn, winter session of fishing Holidays after doing this now for over 8 years I am still excited. For me the joy of fishing in the Florida Keys is ticking people’s boxes and now more than ever fishing with people who have come many times and I can call true friends. 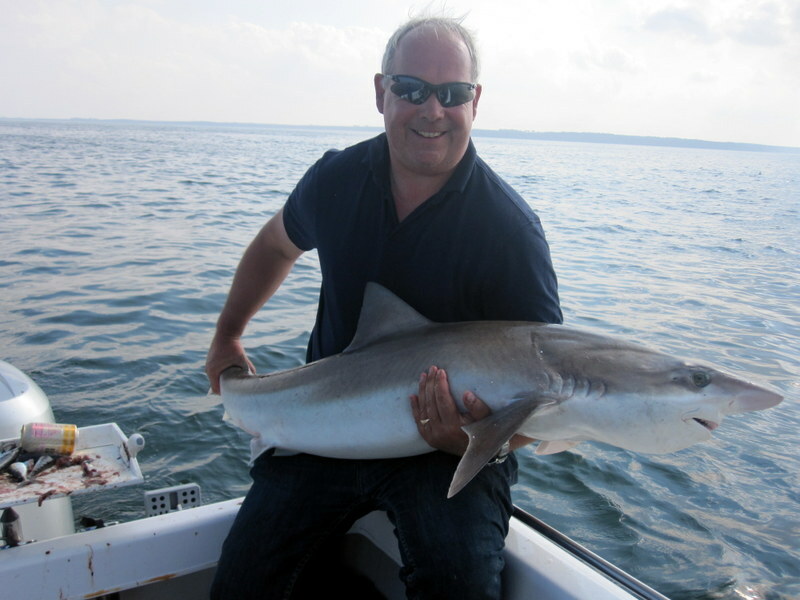 This session it will be great to see John Aplin again and on John’s week with Lee and an other John it is an exploring week I still have many marks I have never fished so keep watching this blog. Like all guys I hate packing but it has to be done and this time I found an old SD camera card and a few pics. 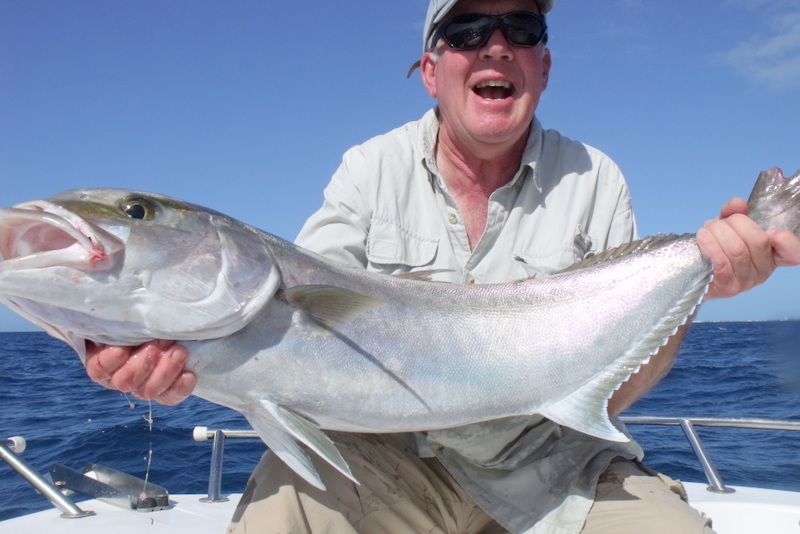 The battle with amberjack can be a brutal one and you can see the look in my friend Martin’s face that says it all, not my best pic sorry Henry. 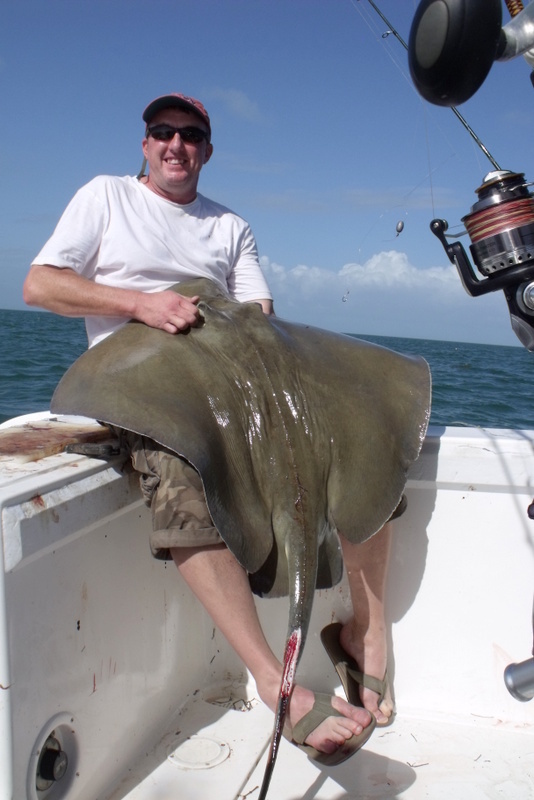 The Sting ray is a very underrated sport fish the runs can be amazing and very fast, then they have the ability to bed down and all you can do is wait. A few new mods this year on the boat putting more rod holders in at the front a rod in a rod holder is a safe rod, it always brings a smile to my face when an unattended rod goes over the side if only it had been in a holder. Reducing the length back of the gunnel rails the boat has very deep free board and the midship rails have killed to many spinning reels. 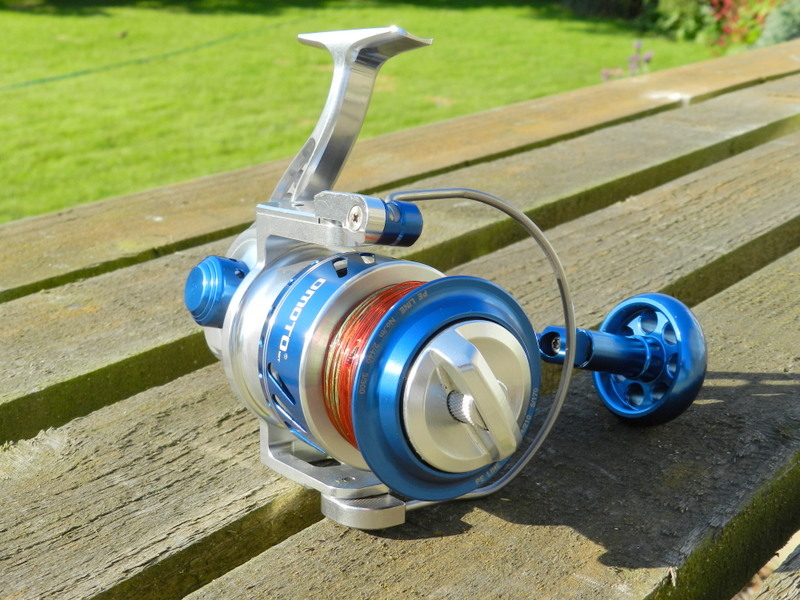 On a personal note cant wait to try my new reel with a fish that pulls back, still seems fantastic but love the sound of a screaming drag. Circle or J hook ? Over the last few years there has been a move to the use of circle hooks in fact north of the Florida Keys in the Gulf of Mexico region it is now law to have to use them for reef fish. 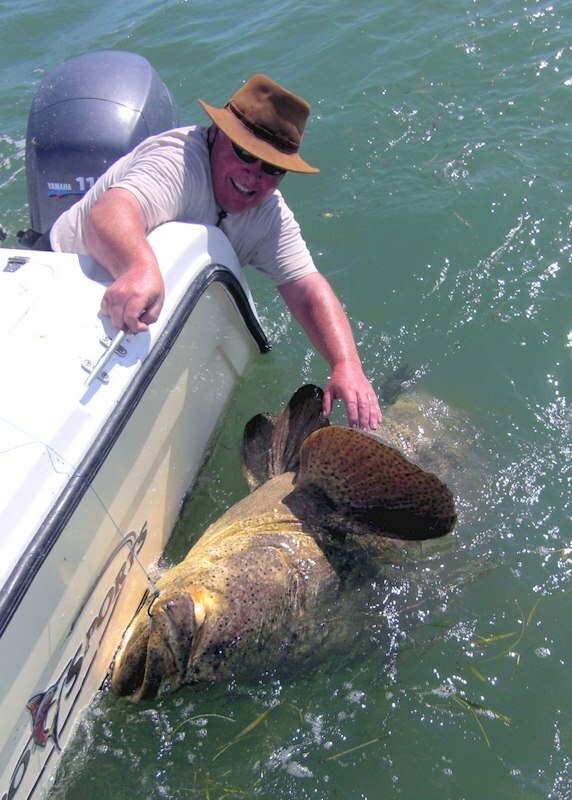 We have had fantastic results with large 22/0 circle hooks on goliath grouper in fact it is the only way to catch them and we have now had fish to near 600 lb. Any thing that helps fish welfare can only be a good thing and as nearly all the fish we catch goes back the better they go back the more chance they have. Circle hooks come from the far east where the long liners wanted a hook that would not get a deep hook sett and be very hard to come out. This is where the problems can start you often need complete slack line and the only way to get the hook out is to reverse the circle backwards. This is fine on most fish but when it comes to shark a very different ball game indeed. This all came to light reading an article in a UK mag where the author was talking about have to cut the trace and then pull it through the fish to get the circle hook out. 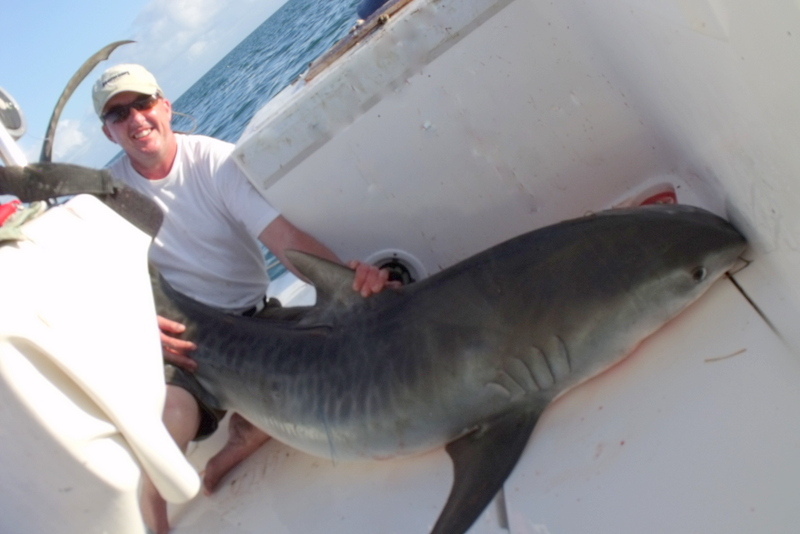 As few UK shark are over 100 lb this is fine but on Florida Keys shark a very different game, with bull and tiger shark often many hundreds of pounds not a game I would want to play. With our sharking I use what might seem small a 10/0 J hook with a micro barb in 4 x strength as they say elephants eat pea nuts and we have had shark over 1000 lbs with this hook. 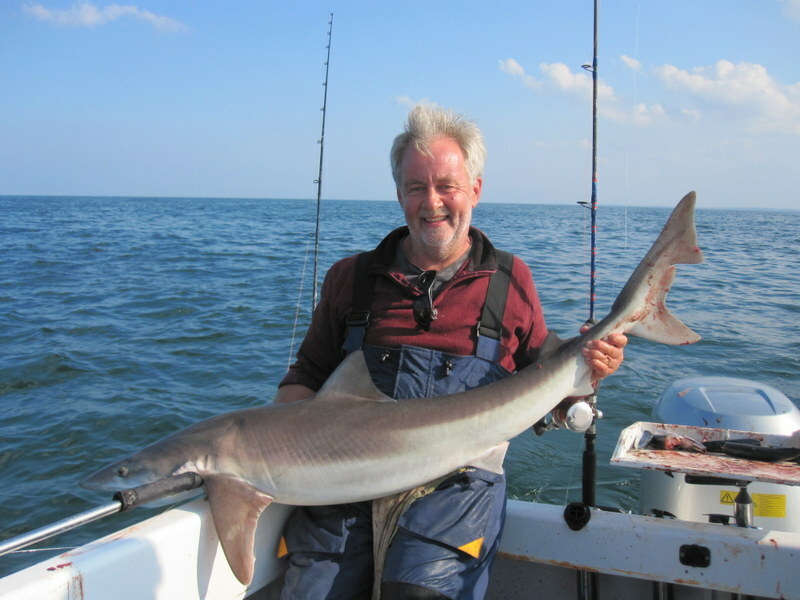 With shark up to 100 lb I still like to tee bar and fish over 100 lb we have an ARC dehooker on a 6 ft pole this being as close as I want to be to our toothy critters. So there you have it circle hooks for nearly all our fishing but J hooks for shark, the last thing I want as skip for guys on fishing holidays is an accident. Comments Off on Circle or J hook ? With the days getting shorter I have been catching up on my mags. While I love the internet there is something still very special about a good old mag and in my opinion the US mags are very good. Reading my last copy of Sport Fishing came across some amazing facts. 83 million that’s the number of people in the United States who participated in boating in 2011, according to the National Marine Manufactures Association. A 10 percent increase over 2010, the number also equated to 34.8 percent of adults, the highest since 1997. 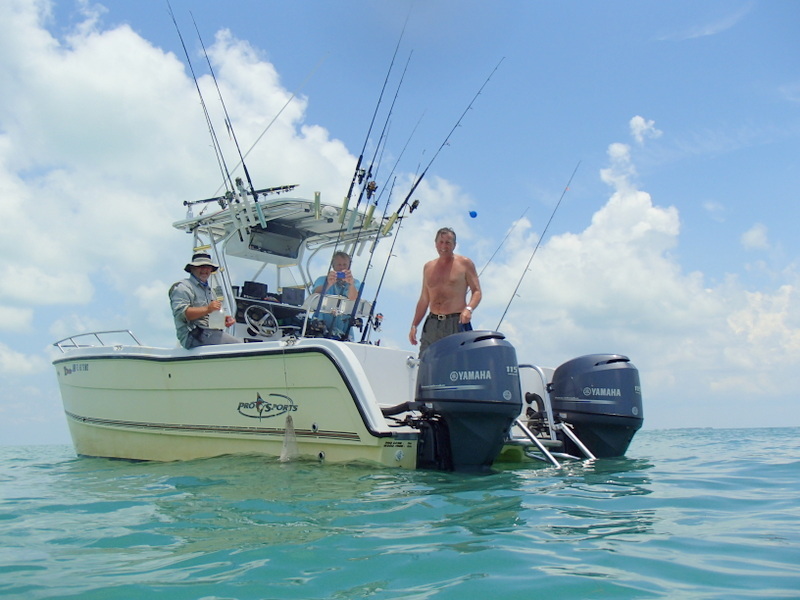 The NMMA also reported that boat sales increased for the first time since 2006 totaling $32.3 billion. this marked a 6 percent gain over 2010, signaling ” the beginning of a recovery for the US recreational-boating industry” according to the NMMA. 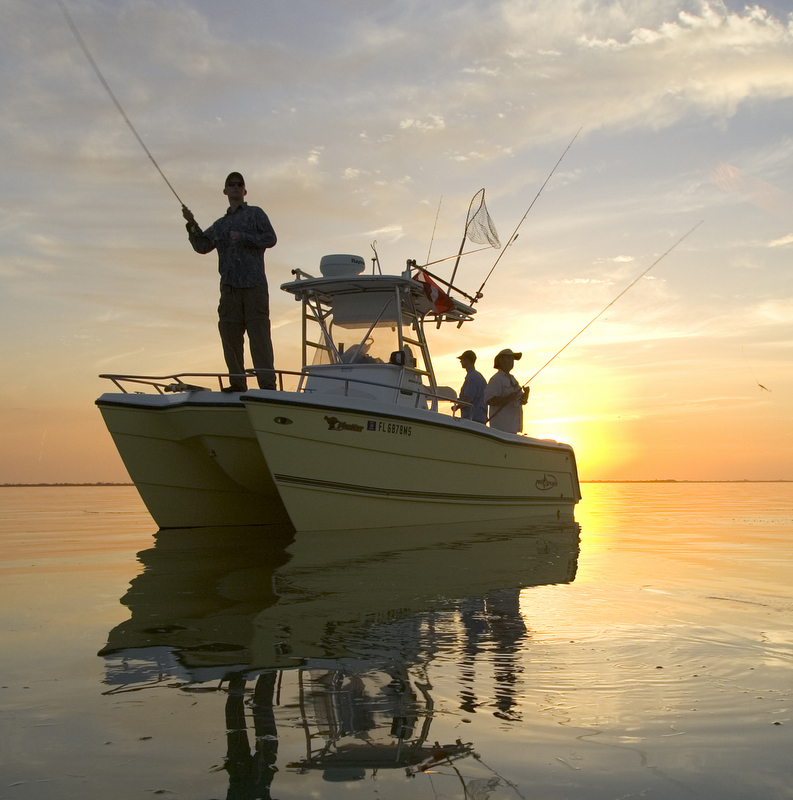 Other notable numbers for 2011 were 83 percent of boats sold in the US were made in the US. $ 72 billion boatings estimated annual economic impact. 12.4 million the number of registered boats in the US. Well I am one of them and I love my boat and in all honesty I have still to see or find a boat I would replace it with and after the repower with new engines its ready for an other 8 years. Those numbers are mind-blowing and I still remeber Jim Whippy’s comment when he came for his first trip to see our fishing holidays in the Florida Keys. Afer the drive down he said ” there is probably more fishing boats in just the Florida Keys than the whole of the UK” I suppose you just get used to it yard after yard stacked out with fishing boats and the reason for it as Henry Gilbey recently said, the Keys are just crawling with fish. 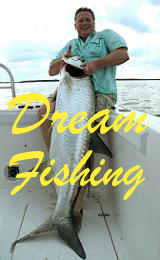 The one thing that excites a boat angler never mind where in the world you are fishing is being given a new mark. We are very lucky in the Florida Keys as a new mark always means fish and this year a friend gave me a new wreck deep in Florida bay. In fact he had one of the Keys biggest cobia on this mark at 72 lb a stunning cobia and meat for a few families at least. 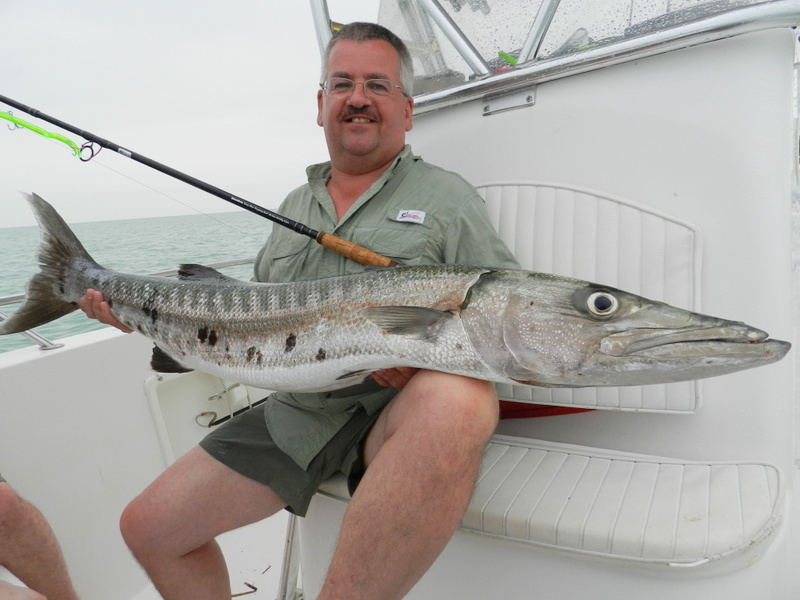 On one of our first trips we were having a ball when a fish was nailed at the boatside the culprit a massive barracuda. 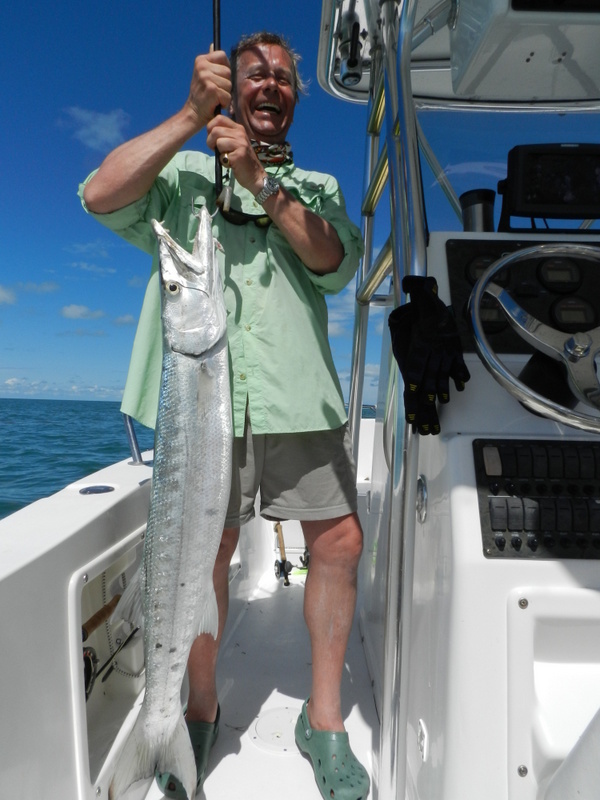 Now nearly all the wrecks in the ocean have stocks of large cuda but I have caught very few in the bay, yes you will see a few on the banks and flats but not big ones. So out went the live baits but it was Jersey angler Simon who found the killing method the good old cuda tube. Why these lures work so well I just don’t know but they do, all the cuda here jump like marlin one even jumped into the boat god knows what it would do if it hit you but a near 30 lb fish in the face not pleasant. Guys on our fishing holidays are often surprised by these wrecks in Florida bay the water is very shallow most are in less than 12 ft and have fish in the hundreds of pounds. I think the reason is there is not much structure in the bay so anything at all starts a fish chain and the big ones just use them as a food stop. So why are there big cuda on this wreck not sure and they are there in numbers, every time we have been there long may it continue. Summer came very early this year to the Florida Keys this year and by late May temps were up into the 90 s this is in the shade and can give deck temps over 110. One question I am often asked how safe is it to have a quick swim my standard reply you have more chance of being hit by lightning than a shark attack. 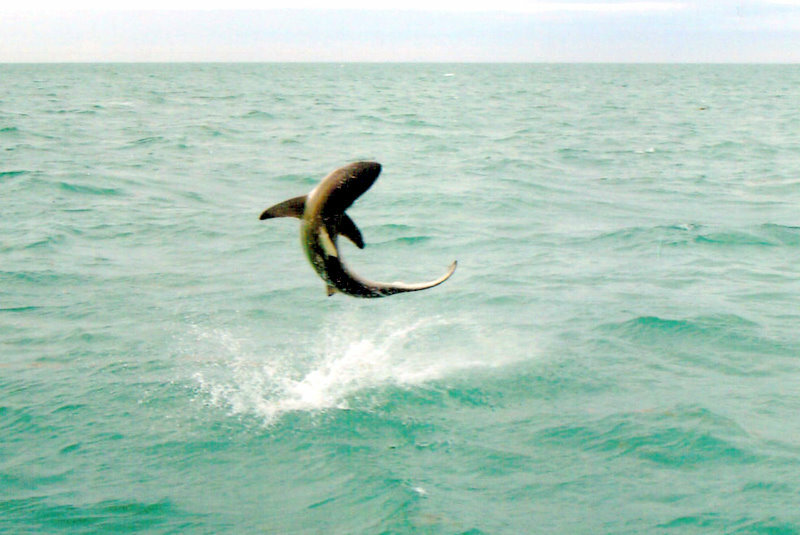 Nothing is completely safe but the last two shark attacks in Florida were a guy surf fishing with a chum block round his waist and a guy kite surfing over a group of a 100 plus shark as a dare. 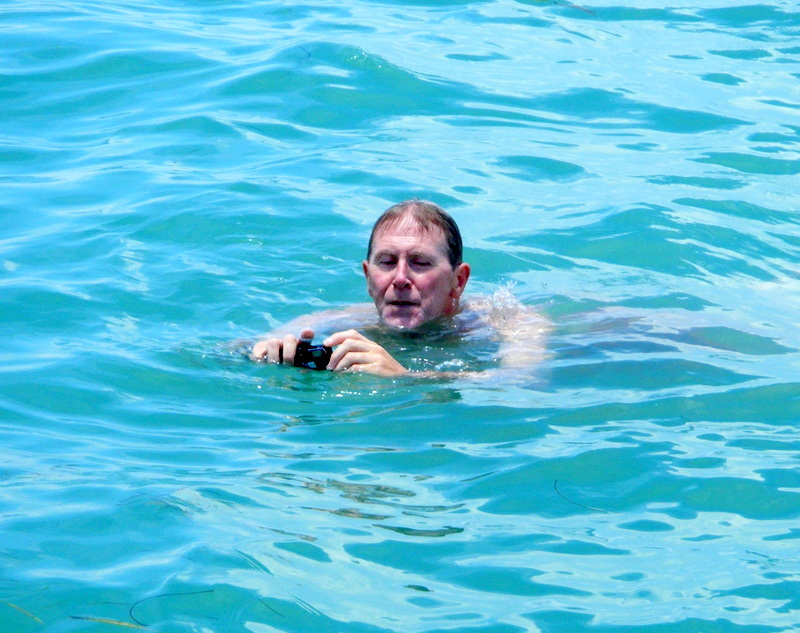 So one day this year whilst wrecking young Robin said I am going for a quick swim, it was slack water and he also wanted to try a new waterproof camera. 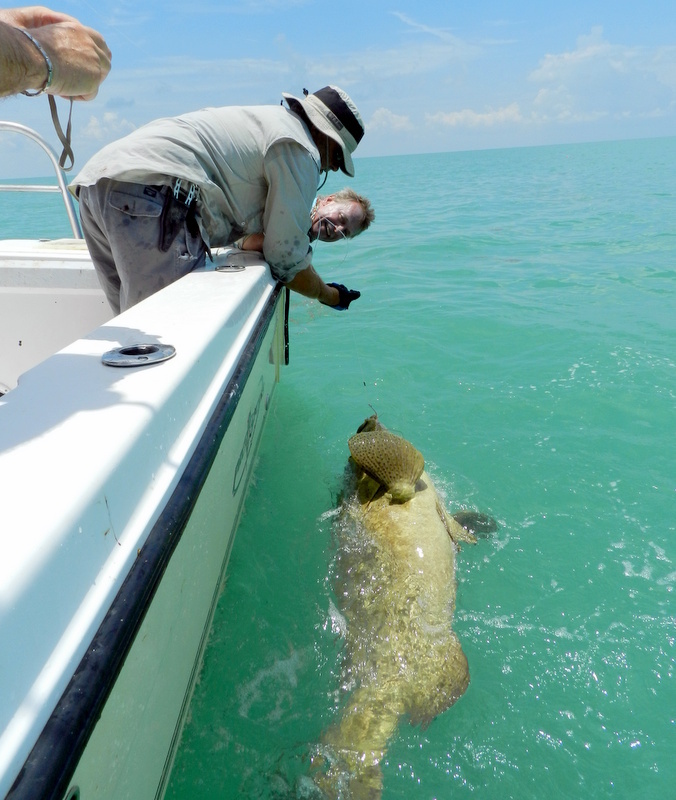 We had had some nice grouper to 300 lbs but the shot Robin got of the boat was the coolest pic of the day by far. Would I do it, not sure I think I am the hit list of to many fish and as skip if any thing went wrong not very clever. I was assured by Robin the cooling effect of the water was just fantastic and one more member of the crew was soon in as well. As most people who know me I have a passion for spinning reels the just work so well and the rod and reel are just balanced so well. 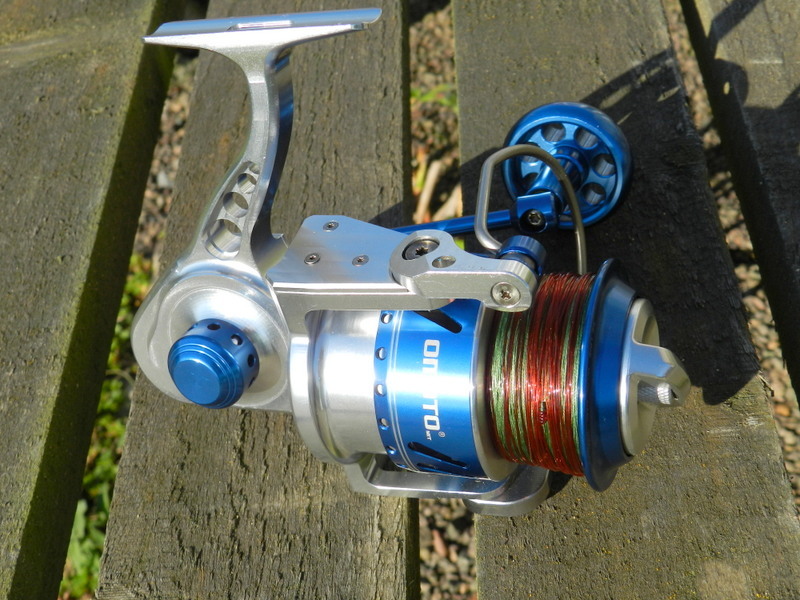 For the last two years my favourite reel has been the Severo 5000 H made by Omoto a smaller company in Taiwan. 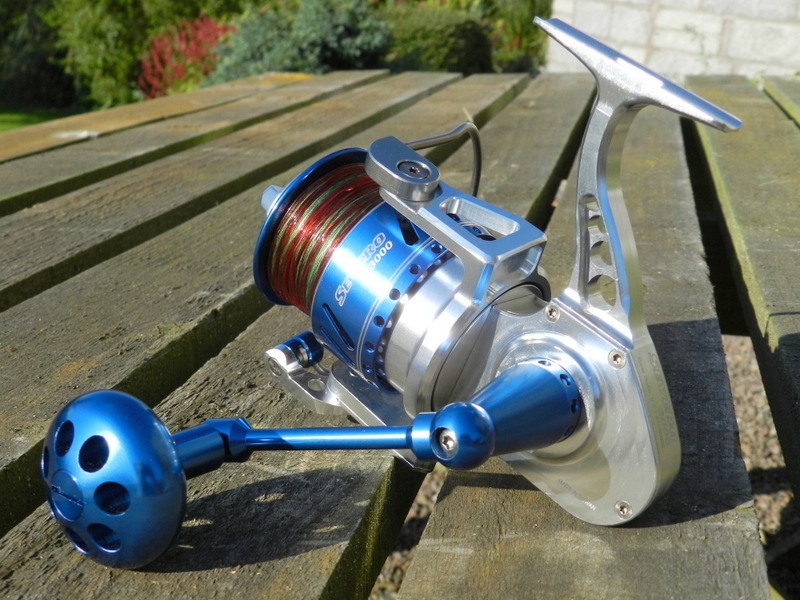 This reel is just amazing completely machined from 6061-T6 aluminum, 15 class 5 bearings, water sealed body and drag, multi carbon and stainless 44lb drag, all stainless steel gears and just made so well. It even has two water seals on the two bearings in the bail, just class. Yes they don’t come cheap but you get what you pay for and in fishing tackle this is very true. The only problem with the 5000 H it is a very big reel it has been fantastic on are larger fish, shark to tarpon but I have always lusted after the smaller 3000. The company that I got my reel from decided not to bring in the smaller on it was just to expensive for a very crowded market. For the last two years I have sometimes put the reel into a Google search but only finding a few very expensive ones but a week ago I found one I could afford. A small custom rod builder on Malta who was using the bigger reel on his rods decided to import the smaller one and make a rod to fit the reel. No luck on selling the smaller combo so put it on his website at a very good discount and one week later in was in my hands job done. Well the reel is as good as expected just the right size for 30 lb braid a perfect sporty shark reel and all fish just under 100 lb cant wait to try it out in the Florida Keys. So moral of story just keep looking and you might be surprised as I was. After a long 10 hours drifting in the North Sea on a porbeagle shark quest blanking and a long chat to Russell Weston of Snowbee who last week also blanked on a blue shark trip I reflected how lucky we are in the Florida Keys. 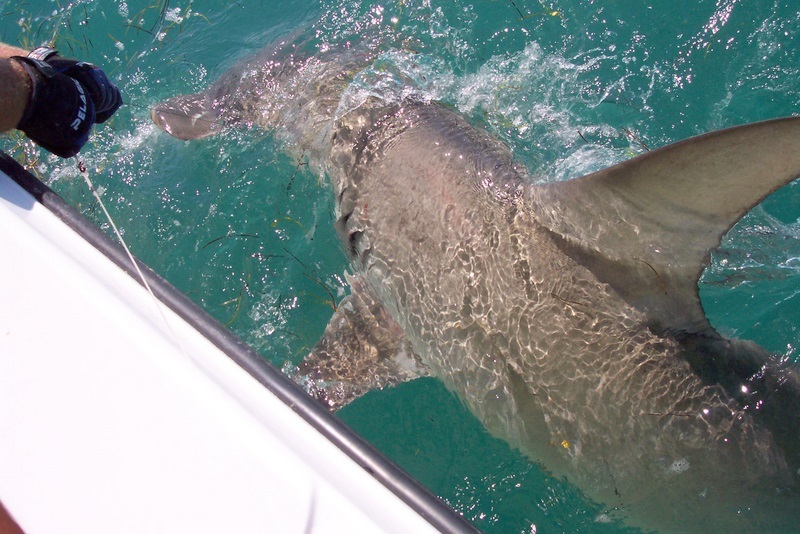 Guys on our fishing holidays have been more than lucky when it comes to shark with a boat PB size well over 1000 lbs with Lee Jasper’s hammerhead. The boat PB for numbers is now 63 in one day and in all fairness they could have had more a far cry from last trip back here. We are back in the Keys in less than a month with the hurricane season ending and the seas a bit cooler I just can’t wait. With the year ending the vast shoals of mackerel will appear and not far behind the shark will be there. 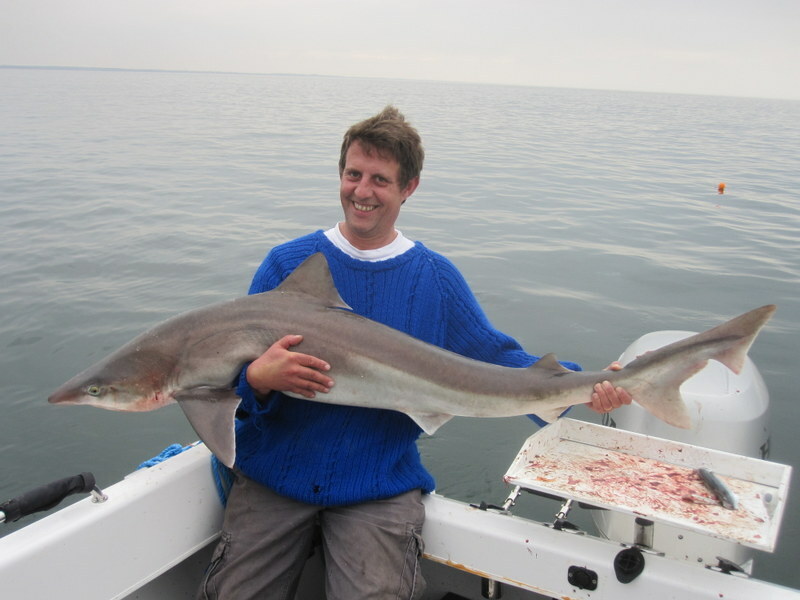 The number one in my opinion of the 11 species we catch on a regular basis is the blacktip. Last year I know we had one well over the record but I was not going to kill a very pregnant fish and the angler agreed as well. These 100 lb fish are just fun, fun, fun on the right gear and I like 30 lb spinning gear jumping many times and running nearly all the line of the spool they just don’t know when to stop. Some people often ask why I don’t use circle hooks for shark well the answer is quite simple they are a pain to get out. The hook was designed not to come out and I use them on grouper and the line needs to slack and you have to reverse out the hook. 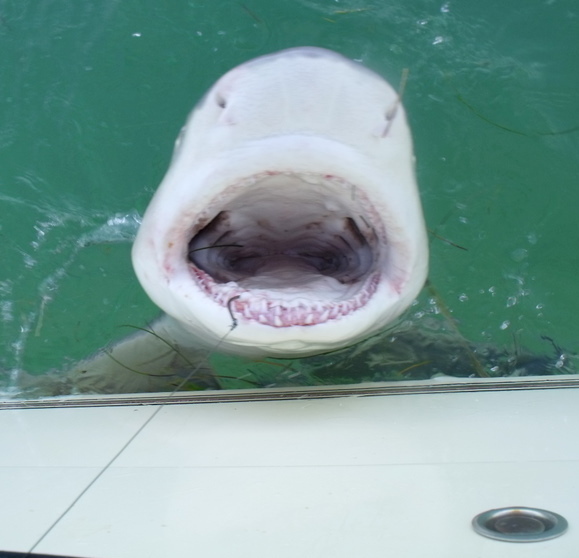 While this is fine on grouper not what you want to do on 200 lb + tiger shark just to many teeth. 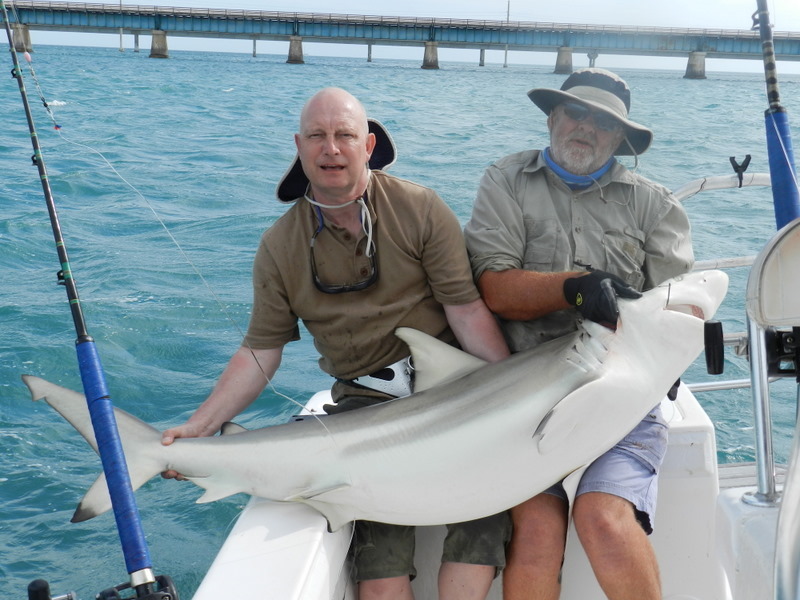 After nearly 15 years fishing in the Florida Keys I seem to know when to strike a shark and very few are deep hooked if they are the trace is cut and the hooks I used rust out very quickly. So roll on this years sharking after last week just want to get back ASP !! One thing people often say while on our fishing holidays in the Florida Keys is I wonder what would happen if we tried chumming for tope back in the UK . What is normally done in the UK is a bag of fresh minced fish is put on the anchor or hung over the side but in the Florida Keys we use frozen blocks of chum which give a constant rate of feed and oils. Also in the Keys we have now started to use an oil dripper sending a drop of oil at a rate to give a surface slick as well. So when my friend Rupert phoned me and said fancy an other day on the tope I was ready and willing this time it was going to be tope fishing Florida style. Over the last few weeks I have been making mackerel chum blocks just letting mackerel go soft over night then pulping them and freezing them in 5 litre blocks. I have also made an oil driper using fish tank tube and fittings and using pilchard oil to give the constant drip. With good weather we went to Ruperts tope mark and all my goodies went over the side and we did not have long to wait. Fish all day long we ended up with 23 tope to 57 lb and I even had 3 on balloon floats, fantastic so see a balloon just disappear just amazing. 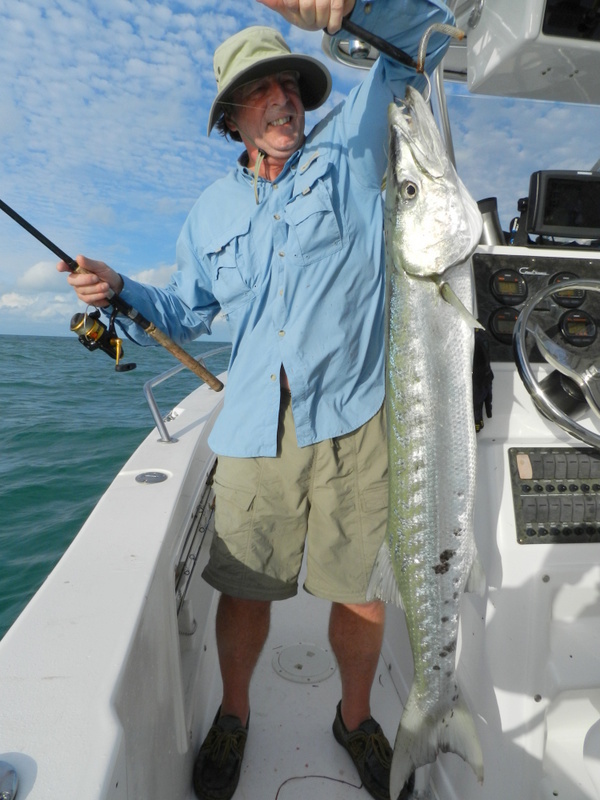 So did all the Florida Keys methods make a difference we will never know but we even had fish at slack water and we had fish following baits right up to the boat. Put it an other way the purpose of chum is to bring the fish to you and on this day we certainly brought fish to our boat makes you think.